Revathi Advaithi assumed the role of CEO of Flex in early February of this year. Before Flex, Ms. Advaithi was president and chief operating officer for the Electrical Sector business for Eaton, a power management company with over $20 billion in sales, 102,000 employees and a market capitalization in excess of $33 billion. She also had corporate responsibility for the Europe, Middle East and Africa region. 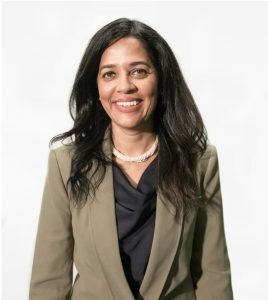 In addition to her time with Eaton, Ms. Advaithi also worked at another OEM, Honeywell, for six years, with leadership roles spanning manufacturing, procurement, supply chain and sourcing, including a role as general manager, Automation and Control Solutions. Ms. Advaithi has a bachelor’s degree in mechanical engineering from the Birla Institute of Technology and Science in Pilani, India and holds an MBA from the Thunderbird School of Global Management. In this exclusive interview with EMSNOW, Ms. Advaithi speaks about how she sees her background contributing to Flex’s future strategic vision. EMSNOW: Your background and experience leading EATON’s Electrical Sector business suggest you were on the customer side of the EMS industry. Do you see any challenges in moving to the other side of the table? While it will certainly be a little different working from the other side of the business, one major benefit is that I will see Flex with a “customer-first” mentality. I started my career as an engineer in a small plant in Shawnee, Oklahoma which has led me to a 25-year career dedicated to designing and manufacturing complex products and services for demanding customers. I have worked in international markets, operational management and global supply chain, across the US, Europe, India and Asia Pacific. I bring a global perspective, deep manufacturing expertise, and the type of collaborative, results-oriented approach that fits well with Flex’s corporate culture. EMSNOW: How will your OEM perspective contribute to the success of Flex under your leadership? My previous role at Eaton was focused on designing and delivering large-scale engineering projects, and we would often deal with the same objective that Flex’s customers have today: Getting the right product/equipment to the right place at the right time at the right price. On the OEM side, trust in a company’s capabilities is crucial, and Flex has amazing capabilities around the globe. EMSNOW: Flex’s focus on ‘Sketch to Scale’ services brilliantly communicates the breadth and depth of its electronics manufacturing services offering in a new way – you don’t see a lot of equipment and factory imagery on the website. Other EMS companies have followed this pathway. What do you think of this ‘rebranding’ of the EMS industry? Customers aren’t as focused on how you make it, they just want the reassurance that you know how to deliver what they need to meet their goals. Images of a factory floor that you might see on a website can be impressive, but we try to focus on the customer’s end goal, and how we can build unique devices. Our customers are asking for a wider range of services as electronics are becoming more important in almost every new product out there. By offering everything from initial concepting to mass scale buildout to print, the “EMS” industry is able to help customers adopt new technology and still get to market quickly and efficiently. EMSNOW: The explosion of applications in IoT and data analytics is leading to massive innovation in electronics. It has also led to component shortages and geopolitical turmoil as globalization goes into the next phase. What do you think are the major strengths of the EMS industry in capturing the profits from that growth? There is a lot of interesting growth in regional manufacturing currently, so it’s important to encourage and support growth of component suppliers that are located closer to the end customer. Our customers too are looking at moving closer to their customers, so there’s a push to be even more flexible regionally and have a broader range of capabilities in all regions. Geopolitical issues are always going to be a consideration, but the opportunity to cut back on shipping components around the world will make it easier to create products targeted for specific markets. EMSNOW: What do you think are the major challenges of the EMS industry as a whole going forward? Working through some of the supply challenges will be crucial, but those are generally sorting their way out. The real challenge and opportunity I see is how do we help companies in one industry, for instance in health care, take advantage of the innovation in other industries such as consumer tech. How can companies bring ideas from different industries to solve problems in ways that customers aren’t even thinking of? Flex has experience in more than a dozen different verticals, so we look for opportunities to bring best-in-class ideas from one industry and apply them to new arenas. There are also all the changes going on in tax and trade around the globe. Flex operates in more than 30 countries around the world. As our customers consider the optimal locations for their manufacturing in this new tax and trade environment, one of our key capabilities is the ability to effectively and efficiently locate customer manufacturing in locations which make the most sense given tax and trade implications, labor capabilities and proximity to the end customers. EMSNOW: What are some of your hopes and dreams for Flex as you take over the CEO position? Will STEM programs to promote the next generation of engineers, especially among young women be a high priority? Flex has an incredible track record of innovation and leadership in our industry. At our core is a commitment to design-led innovation, whether in engineering services or advanced manufacturing, or in 5G or artificial intelligence. Leading Flex allows me the opportunity to build on our strong teams that are keenly focused on serving our customers first, with a discipline and focus towards driving growth. I am a big believer in a collaborative work environment, where debate and dialogue thrive and trust is the cornerstone of all relationships. I love an environment where work is fun, but we are passionate about solving our customer’s toughest problems. I’m also very supportive of diversity, women’s issues and STEM education especially for young women. I spearheaded several programs at my previous role, and I know that Flex has a range of programs around the globe, from building classrooms in China to university training programs in India, and even workforce development programs in the US. Flex also has a strong leadership development program, much like the program that gave me a jump start early in my career. EMSNOW: What else would you like to say to EMSNOW readers? 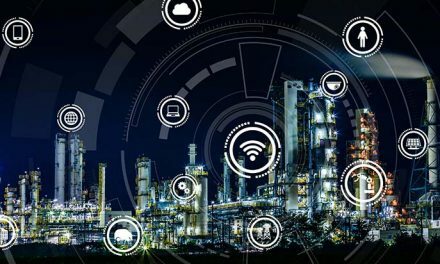 This is a time of tremendous opportunity in manufacturing, as trends such as regionalization, artificial intelligence, 5G and advanced manufacturing all converge. The more I studied Flex, the deeper my respect developed for who we are and what we do. The sheer range and volume of the products we manufacture and deliver to all points of the globe is inspiring. As its new CEO, I am looking forward to building upon Flex’s 50-year history and continuing its global strength in manufacturing.